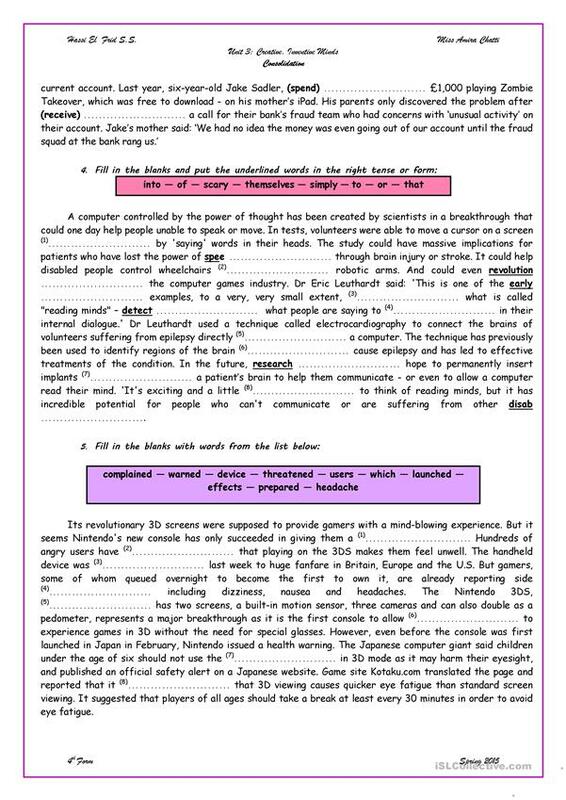 This worksheet comes to sum up the vocabulary and structures seen and acquired in Unit 3. It does not cover everything, but it allows students to see to what degree they master their recent acquisitions. 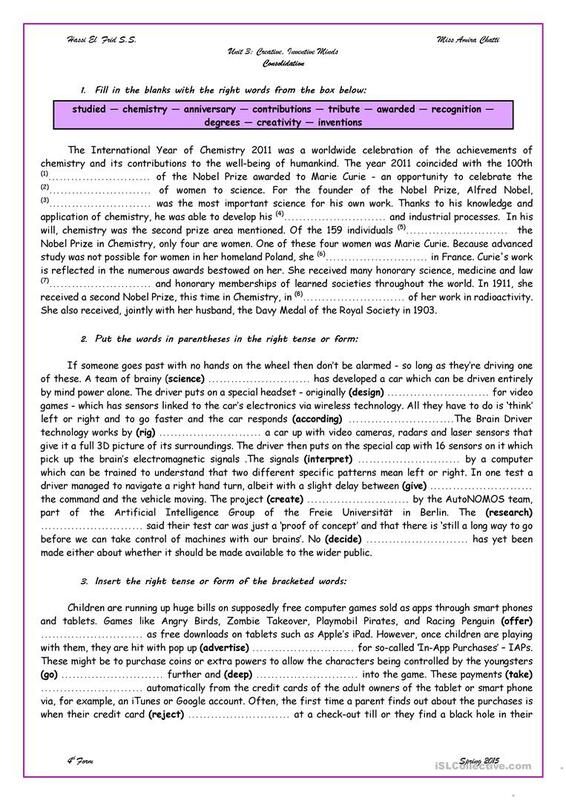 The present downloadable worksheet was created for high school students at Intermediate (B1) and Upper-intermediate (B2) level. 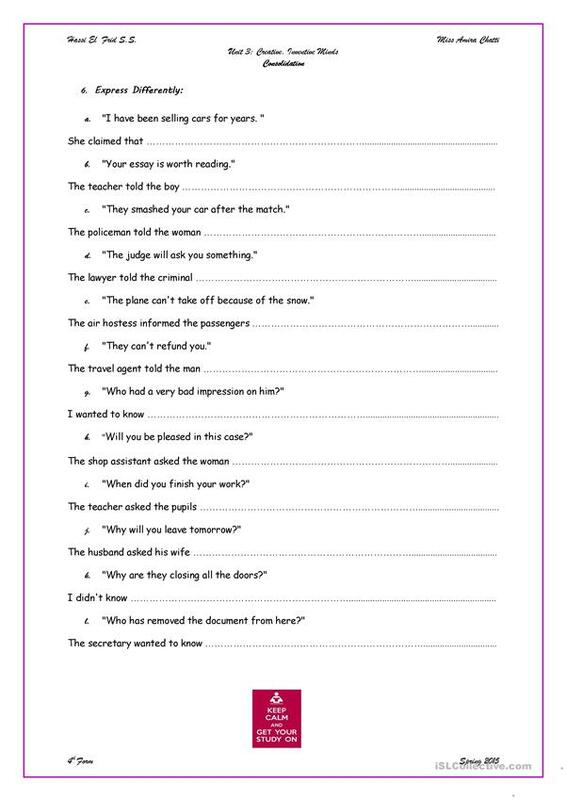 It is great for revising Reported Speech (Indirect speech) in English, and is excellent for enhancing your students' Speaking, Reading and Writing skills. It is about the vocabulary topic of Technology.